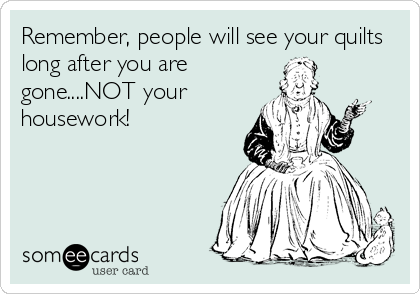 Razzle Dazzle Quilter: It’s the weekend…..
Well - when you put it like that - I have no choice but to obey! Have a pleasant time stitching this weekend, Linda. Well that's sorted my weekend out for me - thanks Linda! Yay - finally a decent excuse for not doing housework. Thank you.